Work productivity depends on a wide range of abilities such as focus, adaptability, and efficiency. Given how demanding our personal and professional lives can be, it can sometimes be difficult to make the most of these abilities. 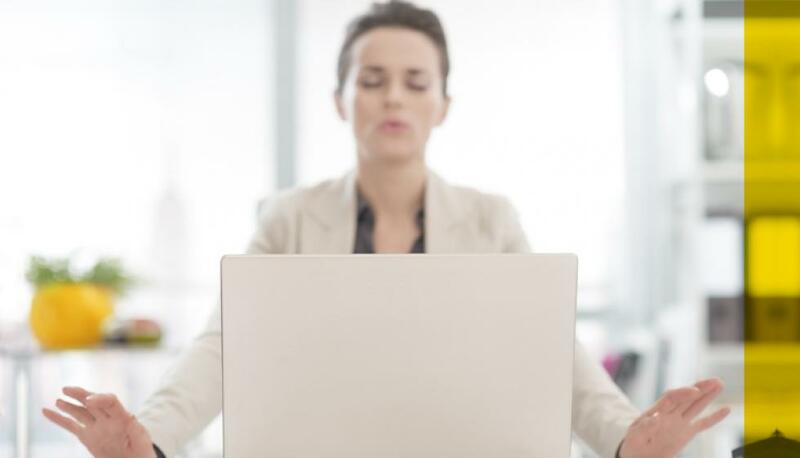 And yet, there’s a simple way to boost productivity hidden right under our noses (literally!)—breathing. Read on to learn how breathing can help you and how you can add it to your routine. “We tend to rely on the accessory muscles in our upper chest area to breathe,” says Chantale Julien, yoga, yoga nidra, and meditation instructor. “But breathing from lower down—from the abdomen—provides many benefits.” That’s why athletes and singers, among others, do breathing exercises before and after they perform. “Deep breathing improves concentration and helps you relax and be in the moment,” says Julien. Want to give it a try? Chantale Julien recommends this four-step breathing exercise that you can start doing right away! Sit or lie down in a comfortable position. Keep your back straight. Relax your shoulders. Breathe consciously. Feel your breath flowing in and out through your nose. Then, focus on your abdomen. When you exhale, pull it in. This will lead to deeper, longer, and slower exhalations that end in your abdomen. When you inhale, watch your abdomen and navel rise. Remember, you’re responsible for your performance at work. So go ahead and take a breather. It can only benefit you! Thanks to Chantale Julien, yoga, yoga nidra, and meditation instructor for sharing this advice. What tricks help you be productive at work?